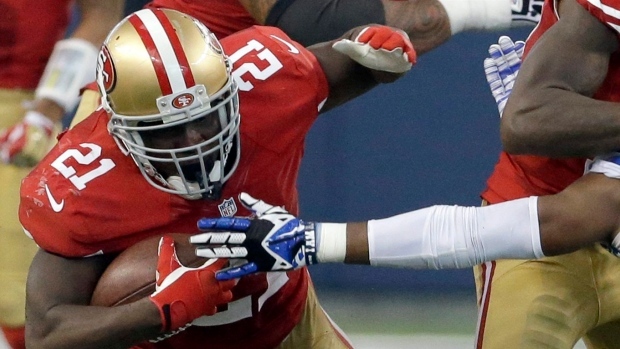 Frank Gore was going to be a Philadelphia Eagle and then he wasn't. Now he's an Indianapolis Colt. Only hours after backing away from a three-year, $7.5 million deal, the former San Francisco 49ers running back has agreed to a deal with the AFC South champions. The deal is said to be for three-years and $12 million, $7.5 million of that guaranteed. The deal will have $8.5 million over the first two years and $6.5 million in bonuses. Gore, who will turn 32 years old in May, is a five-time Pro Bowler and is the Niners' all-time leader in rushing yards and rushing touchdowns. In 16 games last season, Gore had 255 carries for 1,106 yards and four touchdowns. He also added a receiving major.